An accurate process flow chart is a key factor to achieve required amount of garments production. It has also so much importance to respect the shipping date of a garment export order. As its importance in garments manufacturing sector, today I have discussed here about the process flow chart of T-Shirt manufacturing, which is followed in garments industry. Shoulder join is done by using over lock machine. Neck join is done by using over lock machine. Rib tack is done by using Plain machine. Main label join is done by using Plain machine. Neck tape join is done by using Plain machine. Neck top sin is done by using Plain machine. Sleeve hem is done by using flat lock machine. Sleeve join is done by using over lock machine. Care label join is done by using Plain machine. Side seam is done by using over lock machine. Sleeve tack is done by using Plain machine. Sleeve soap tack is done by using Plain machine. Body hem is done by using flat lock machine. Mention the process flow chart of T-Shirt followed in readymade garments sector. Mention the process sequence of T-Shirt followed in apparel industry. Mention the sewing sequence of T-Shirt applied in garments industry. 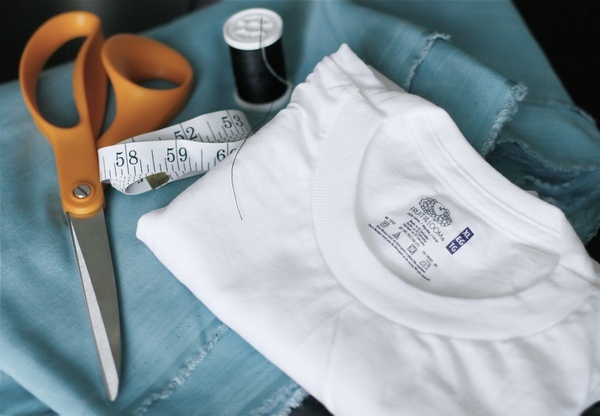 Mention the sewing machine flow chart of T-Shirt manufacturing. Explain the flow chart of T-Shirt manufacturing.